We all know that the climate is always changing. We rely on the weather forecasters to give us a good idea of what is going to happen for the next week or so, but beyond that the seasons are the best guide. Yet, suddenly, only a few years ago, Climate Change is something we are supposed to worry about. It is even considered to be a menace. This scam was launched at the 1992 United Nations Earth Summit in Rio de Janiero. By the United Nations Framework Convention on Climate Change which has been signed by representatives of 43 countries including the European Union. Besides being a completely different definition for what was previously just an obvious fact this is a legally binding definition; an acceptance of the scam by the signatories. . They immediately admit that human activity that alters the composition of the global atmosphere is only ONE possible change of climate. There is also natural climate variability which is ANOTHER possible change of climate. But then, they play the trick of suggesting that natural changes in the climate are not changes at all, but merely variable. This falsehood permits them to assume that aby change which is unprecedented, because it cannot be shown to be variable, must be caused by their chosen religious dogma. This CLIMATE CHANGE which is the alteration of the composition of the global activity by human activity is a religious slogan, and as such it is an article of faith. No evidence or proof is needed; indeed it is better absent as this is a test of religious zeal. Proof, is, anyway, unnecessary. All that is needed is for the proposition to be attributed directly, or even indirectly. It is true even by an attribution by one single lunatic. But to put a scam like this over on the public there must be attribution, not only by the devotees of the environmentalist faith, whose support is guaranteed, but also by a collection of pundits who could influence politicians. You must have celebrities, film stars sports heroes and scientists., Better still,.set up political parties devoted to the promotion of this scam. 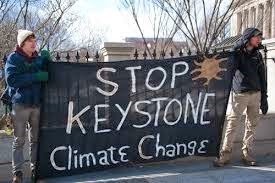 The Intergovernmental Panel on Climate Change was set up to pay scientists to support the scam. Science jobs were scarce, money was no object. A profitable career was offered with foreign travel, guaranteed publications supported by reliable editors and peer reviewers and even a possible Nobel Prize. The only condition was that they would all attribute almost everything about the climate to human activity that alters the composition of the global atmosphere to a level satisfactory to the Government Representatives that controlled the IPCC; the signatories of the FCCC., on pain of dismissal and loss of career if they failed to do so. A suitable system of justification for this process was built up using the latest principles of public relations and political and verbal spin. In order to confuse everybody the IPCC then proposed yet another definition of “Climate Change: for their use. Climate change refers to a change in the state of the climate that can be identified (e.g., by using statistical tests) by changes in the mean and/or the variability of its properties, and that persists for an extended period, typically decades or longer. Climate change may be due to natural internal processes or external forcings such as modulations of the solar cycles, volcanic eruptions and persistent anthropogenic changes in the composition of the atmosphere or in land use. Note that the Framework Convention on Climate Change (UNFCCC),in its Article 1, defines climate change as: ‘a change of climate which is attributed directly or indirectly to Human activity, that alters the composition of the global atmosphere and which is in addition to natural climate variability observed over comparable time periods’. The UNFCCC thus makes a distinction between climate change attributable to human activities altering the atmospheric composition, and climate variability attributable to natural causes. They do not provide a definition of climate change at all, this time. All we get is something that refers to it. 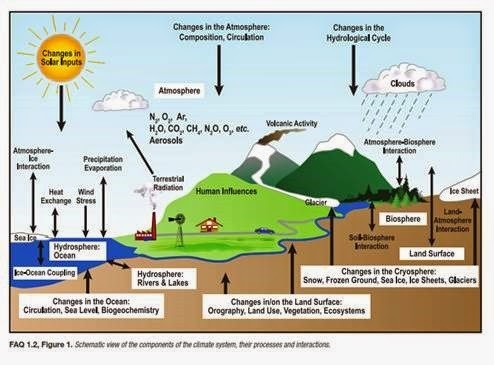 They point out that the FCCC restricts the term Climate Change to human activities altering the atmospheric composition, and regards climate variability as not part of it whereas the IPCC includes climate variability attributable to natural causes.as part of climate change. They also emphasize that the only persistent influence on the climate is their precious human activity. Natural effects are, apparently not persistent. This excuse for a definition seems to include all influences, almost a reversion to the obvious and previous meaning of climate change, which includes everything.. The only difference is here only the human effects are persistent, the others are ephemeral. We thus now have three different definitions of the term climate change. The second is the FCCC where climate change is only that part attributable to humans. The third is the definition referred to by the IPCC which seems to be similar to the first, including all influences on the climate, but only the human effects are persistent. However the IPCC treats natural effects differently in order to suit the purposes of the scam. For the models the natural effects are considered constant except when they are needed to explain discrepancies from model results. They even try to argues that such natural effects are themselves caused by humans. The three different definitions help to confuse the public who can be persuaded that all the definitions prove that humans are controlling the climate. On every Report I proposed that the title should be changed to Climate Science, but they are not interested in the climate itself, only in its changes, which must always be attributed to humans. Climate in a narrow sense is usually defined as the average weather, or more rigorously, as the statistical description in terms of the mean and variability of relevant quantities over a period of time ranging from months to thousands or millions of years. The Classical period for averaging these variables is 30 years, as defined by the World Meteorological Organization..The Relevant quantities are most often surface variables such as temperature, Precipitation and wind. Climate in a wider sense is the state, including a statistical description of the climate system. Nowhere in any part of the IPCC Reports are there any actual figures for statistical description in terms of the mean and variability of relevant quantities for any locality, even for the recommended period of 30 years. Since, every local climate is different, global climate consists of an amalgamation of every local climate. An attempt to provide means and variability globally is an almost impossible task, but the IPCC does not attempt it. Their claim that they are able to provide a plausible statistical description of the climate system is simply false. It is particularly impossible to obtain an overall statistical description of radiation to and from the earth, since this is different every instant in every place. Almost the same sun arrives instantaneously above each locality but everything else is constantly changing. The IPCC climate models fail miserably to imitate a real climate. 2. IPCC, 2013: Climate Change 2013: The Physical Science Basis. Contribution of Working Group I to the Fifth Assessment Report of the Intergovernmental Panel on Climate Change [Stocker, T.F., D. Qin, G.-K. Plattner, M. Tignor, S.K. Allen, J. Boschung, A. Nauels, Y. Xia, V. Bex and P.M. Midgley(eds.)]. Cambridge University Press, Cambridge, United Kingdom and New York, NY, USA, 1535 pp. 4. Solomon, S., D Qin, M. R. Manning, M. Marquis, K. Averyt, M. H Tignor, H. L. Miller, and Z. Chin. (Eds.). Climate Change 2007: The Physical Science Basis (IPCC), Cambridge University Press. "It is even considered o be a menace"
Do you mean "to" insteead of "o"?